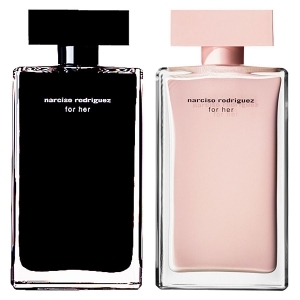 Narciso Rodriguez for Her was created by Christine Nagel and Francis Kurkdjian for the fashion designer of the same name, renowned for his graceful, gently elegant and feminine trademark styling. The Narciso Rodriguez line might cause some confusion because there are three concentrations of Narciso Rodriguez for Her: the EDT packaged in black bottle, the EDP packaged in pink and the parfum in a rectangular clear vial with a dropper but one doesn’t encounter that format too often. Some perfume companies make the EDT a simply lighter version of their EDP but Narciso Rodriguez is indeed almost two different scents. The notes of both overlap but the arrangement is slightly different as is what dominates. 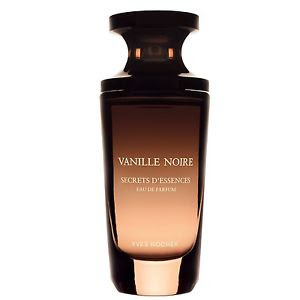 That said, I like both the EDP and the EDT and consider them a place of honour in my go-to perfume wardrobe. Both have an amber, slightly vanilla and more dominant chypre accord which is artfully fused to tones of wood, musk and citrus, all kissed with a floral – mostly a sweet orange blossom. This makes NR almost a hybrid – it is at once Oriental Floral and then a woody Chypre with warm, sweet tones of musk and some citrus for good measure. In the EDP there is also rose and peach, a tiny accent of pink roses, along with a touch of honey. If you like Lovely (Sarah Jessica Parker) or Guerlain’s Idylle, you will love Narciso Rodriguez’s EDP and EDT . Where it differs in a basic way from Lovely is it is a bit less earthy and scented of clean sweat and very much more complex. Where it differs from Idylle (which is a stunner) it is far more feminine. It is feminine in a clean but still mysterious way. If you wear it, you will cut a swathe through a room leaving an echo of quite womanliness. It’s a memorable scent and a signature scent if those who wear it but it’s knowing and poised –a less is more – totally nuanced perfume that is a true classic.